Ms. Seung-Hye (Anna) Choi serves as the Assistant to the President of RGI for Korea and as RGI’s Office Manager in Seoul, Korea. 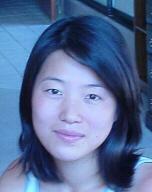 Ms. Choi attended University in Seoul and language training in Canada. She is a Republic of South Korea citizen and is fluent in Korean and English, and has a working knowledge of Japanese. Ms. Choi is a gifted artist and holds a Black Belt in Tai Kwan Do.